January rolled in with a cold front! We had extremely low temperatures for a couple of weeks straight (we saw a low of -12 Fahrenheit! BRR!) and despite the cold temperatures, I realize we were quite busy this month as I reflect back on it! Here are some happenings of January. This is worth noting because not only are baby bristlecone pines cool, but we shot an awesome video of this adventure titled The #1 Secret of Wealthy Land Owners. Is this clickbait? Not really… in this video we actually share how many families in the area build wealth, and how we hope to build wealth as well for our family. Oh, in the video you also get to see epic drone footage! Believe it or not, it was so cold that a couple of our batteries froze! Actually, it wasn’t the low temperatures to be honest, those batteries were having issues anyways. Jesse spent a large portion of January doing battery maintenance trying to figure out if the batteries could be saved or if we needed to remove them from the battery bank. Check out the first video in the multi-part video series – we’re not even kidding, it was a lot of work! Jesse continues to have back issues so after trying some new stretches and exercises prescribed by the chiropractor we decided to take another trip to see him. Here’s a video on how we take care of our health while developing a property… we’re not about cheap care, we’re about quality care no matter how far we have to drive. This is my winter project… the Master Gardeners program! It’s a 3-month long program including 6 hours of classroom time each week. I’m learning all about vegetable gardening, plant anatomy, soil properties, trees, fruit, grass, and more! Does this information help me today? Not a ton… but I like to think it’ll come in handy when it comes time to landscaping our property. This class makes me re-think my goal of having a garden this year on top of building a house… so if I have time, I’ll likely spend it volunteering in someone else’s garden or volunteering in the community. Jesse has been wanting to fly for a long time so since we didn’t want to be stuck in the RV all winter, he thought that now is as good of time as any to learn to fly! It started with Jesse just signing up for ground school, but then he realized that the information wouldn’t sink in unless he took some flight lessons, and those lessons might as well be going towards getting his private pilot’s license. We aren’t sure where flying will take us yet, but Jesse is passionate about it, he’s having fun, and we have no doubt that a lot of opportunities will open up for us if Jesse has his private license. Oh… watch this video of Jesse’s first flight lesson! Yes, I went with him! YIKES! 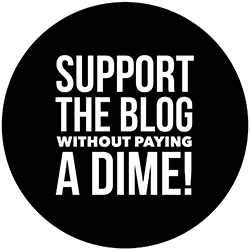 We are ready to take our blog and YouTube channel to the next level so with some leftover funds from Q4, we decided to re-invest in our blog. Prior to now, we were doing all work with a $500 camera, cheap microphone and a $20 tripod! Tools and equipment don’t make someone a good photographer, but at a certain point, they help make the job a little easier and encourage creativity. We bought a Canon EOS 80D (watch our video about it here), a DJI Phantom 3 quadcopter drone for aerial photography, a quality tripod, a couple gorilla pods, and also a Sony Action Cam to replace our GoPro Hero 4. These new tools are already allowing us to seriously up our game… you won’t be disappointed! PS – these expenses are not included in the expense report because they’re definitely more in the business expense category instead of in the lifestyle / property expense category. This is one of our lower months for groceries… odd, considering we spent so much time in the RV which usually equates to more snacking than usual. We spent a bit of time this month running around doing errands, including two out of town trips, so this is higher than normal. Cash purchases, a couple trips to Walmart for basic needs, clothing repair, etc. This is probably our highest month in generator usage yet. We had zero days of sun so our solar power setup was close to useless. Second, we’ve been having issues with our battery bank freezing , the inverter, and our generator, so we had to do A LOT of troubleshooting which meant running the generator A LOT more than normal. Considering that the majority January was extremely, propane use was high since it was running ’round the clock. Even with our wood stove on throughout the night, we tried to keep cupboards open in the RV and keep the internal temperature at 55 degrees Fahrenheit. Here is how I dress warm in winter to minimize propane use. Oil filter, oil for a change and a headlight bulb. Who are we kidding… gloves aren’t an asset on a homestead, they are a consumable since we tear through them so quick! We bought 4-5 pairs of gloves ranging from thick leather gloves to a variety of winter gloves. Ain’t nobody want cold hands. We bought a bit of battery acid this month in attempts of restoring our solar batteries. In the end, we did manage to improve the batteries enough to get a couple more years out of them… we hope! January was a pretty good month for us! Last winter at this time, we worked literally non-stop on our online business (we own and manage dozens of websites) to get it turned around and producing a passive income for us. We also got stuck on a graveyard schedule where we were sleeping from 8am to 5pm! It was terrible! We are happy that we managed to stay busy and even take on a couple extra-curricular activities to keep our sanity. We want to continue to live our life rather than letting the stress of a home build own us. We also feel that we had time to take care of much-needed battery maintenance, back maintenance, and give some solid time into learning our new camera equipment. Here’s to another month of winter! Hello, thank you for sharing your journey. We bought two acres in 2015, and are slowly working the property while still living and working in another town an hour away. I appreciate the real information, it gives us lots of items to consider. We are currently working on our septic, working through design with an engineer. Thanks for sharing this info about your budget. I am about to go part-time with my career in August and focus on urban homesteading in Tampa, Florida (and being more “free!”). My budget will of course be very different than yours, but it is good to see yours to get ideas for my own. Today we were just designing our chicken coop and making the budget for that. We have paid off all our debt except for the house, but it will be paid off by the end of the year! Yay! We love your youtube channel and watch all your new videos. It great to see all the progress you guys have made on your property. Keep up the good work! It is very inspiring and we like your positives attitudes. Greetings, How do I find your other web sites and/or You tube channels. I try to keep up with your progress and enjoy watching your videos. I’m way past the age of starting over with a homestead, but I can enjoy watching your’s.